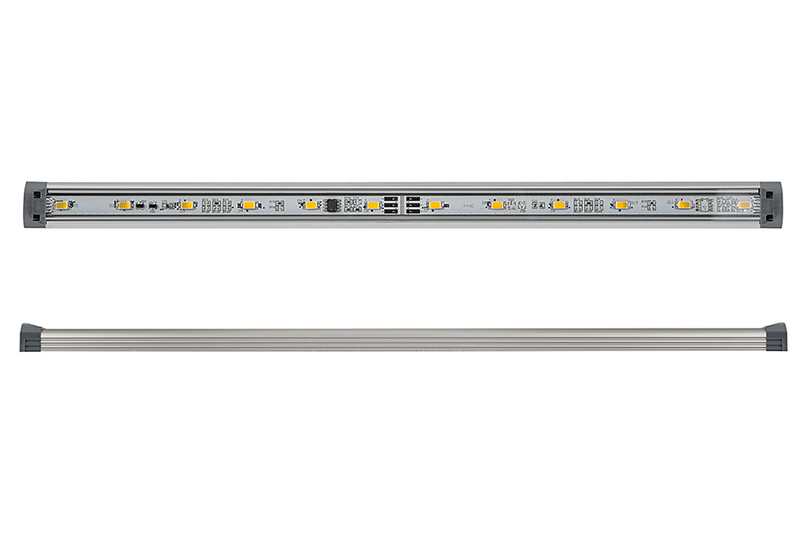 LED Linear Light Bar Fixture: On Showing Beam Pattern In Natural White (Top), Warm White (Center), And Cool White (Bottom). 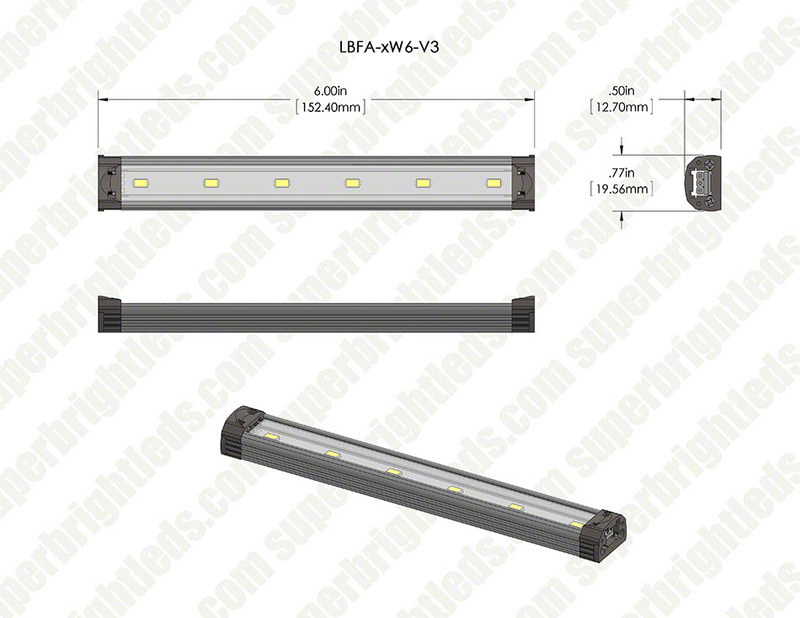 LED Linear Light Bar Fixture: 360° View. 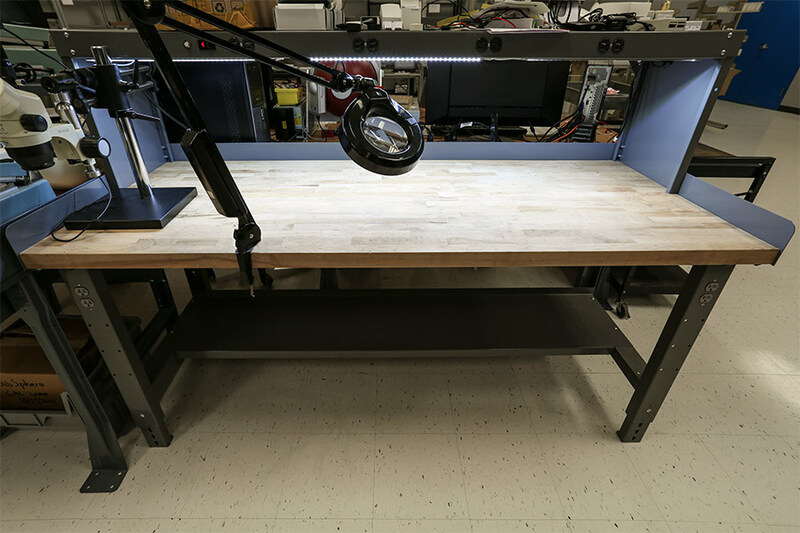 LED Linear Light Bar Fixture: Shown Installed On Work Bench In Cool White. 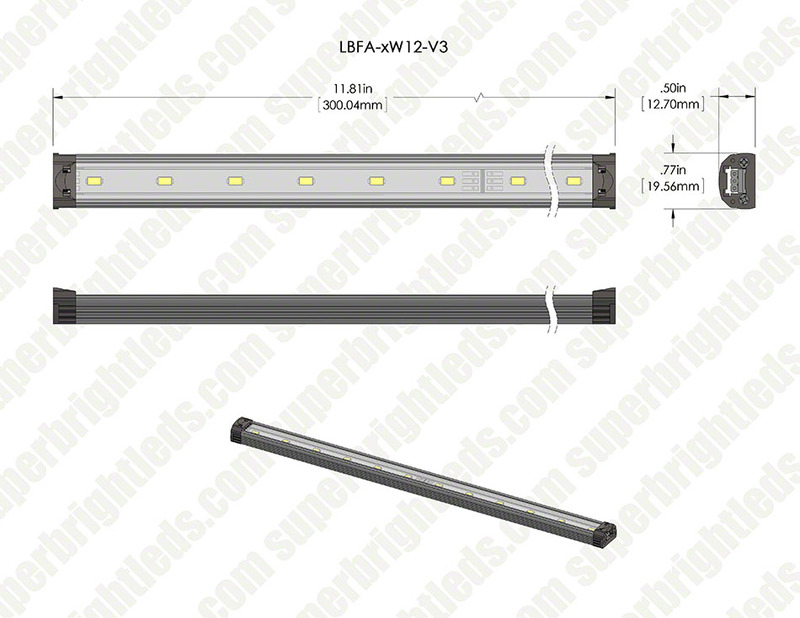 LED Linear Light Bar Fixture: Shown Installed In Display Areas In Natural White. 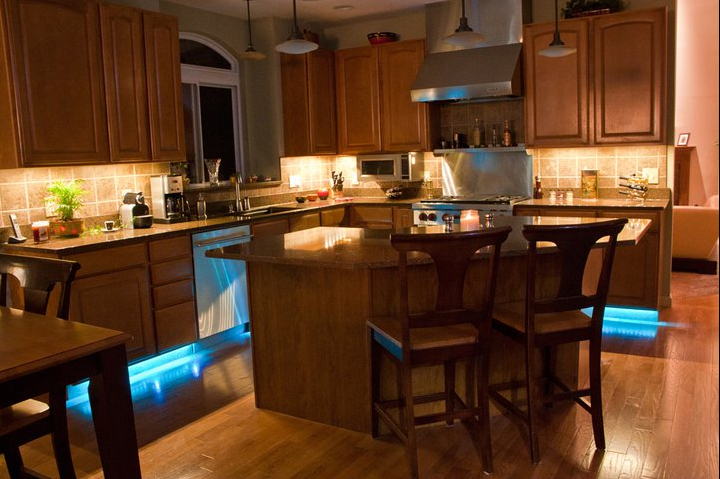 LED LuxBar light bars installed behind the couch serve several purposes in this living room. 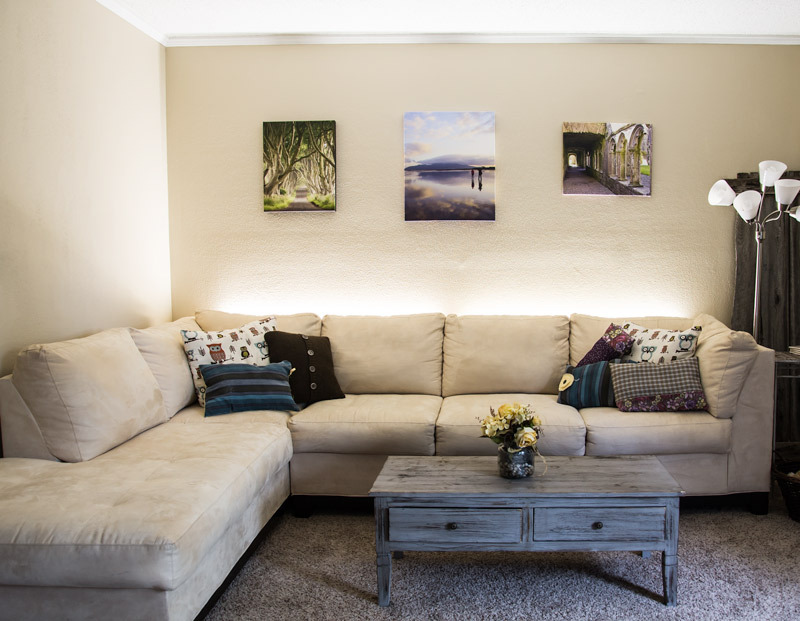 They provide general illumination for the space, draw attention to the photos on the wall, and add an unexpected, yet alluring accent to the sofa. 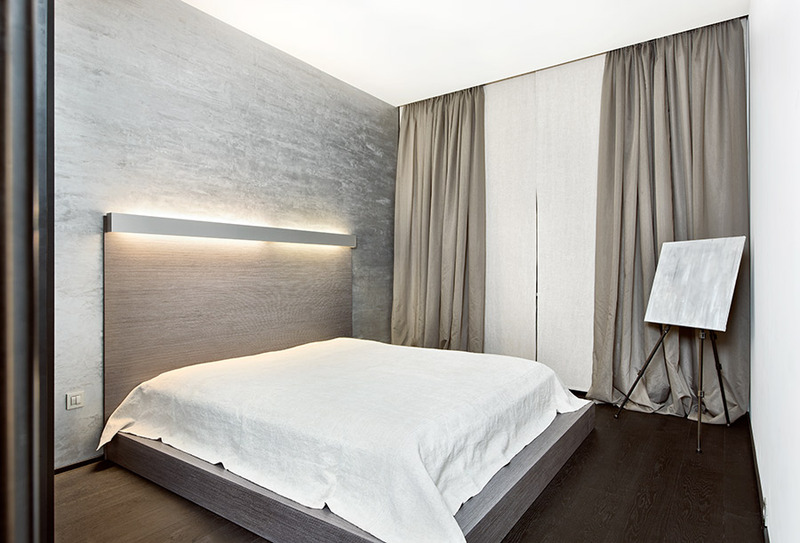 LED Linear Light Bar Fixture: Shown Installed Over Hotel Bed Headboard In Warm White. 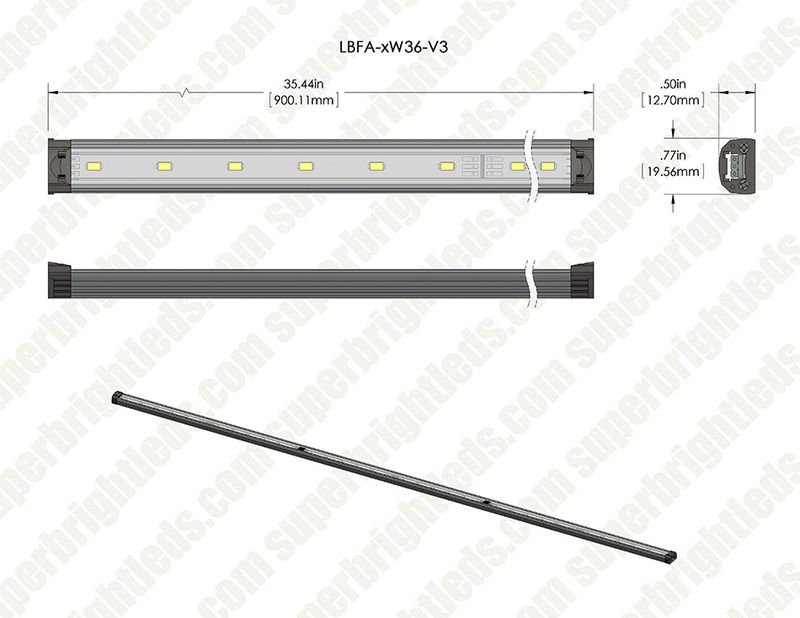 The LuxBar LED Linear Light Bar Fixture is an extremely versatile solution for many indoor lighting needs such as cabinet lighting, under-cabinet lighting, cove lighting, bookshelf lighting, showcase lighting and cupboard lighting. 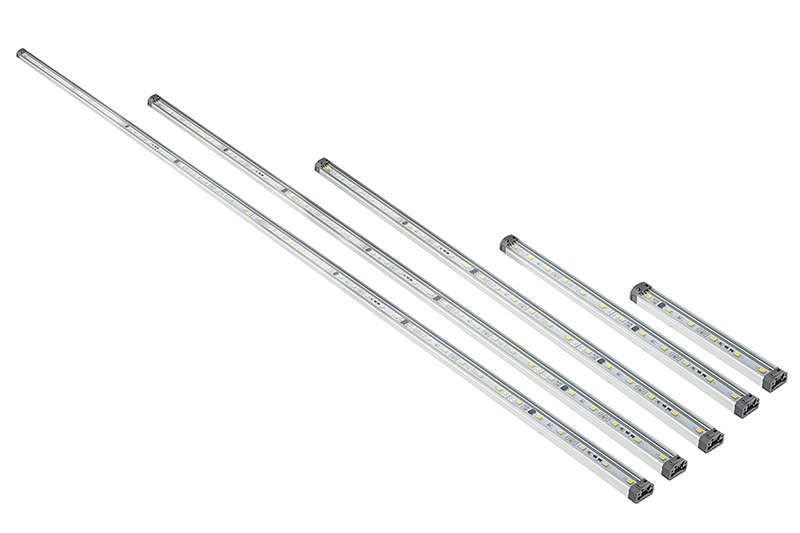 Scalable aluminum fixtures are available in 6, 12, 24 or 36-inch lengths. 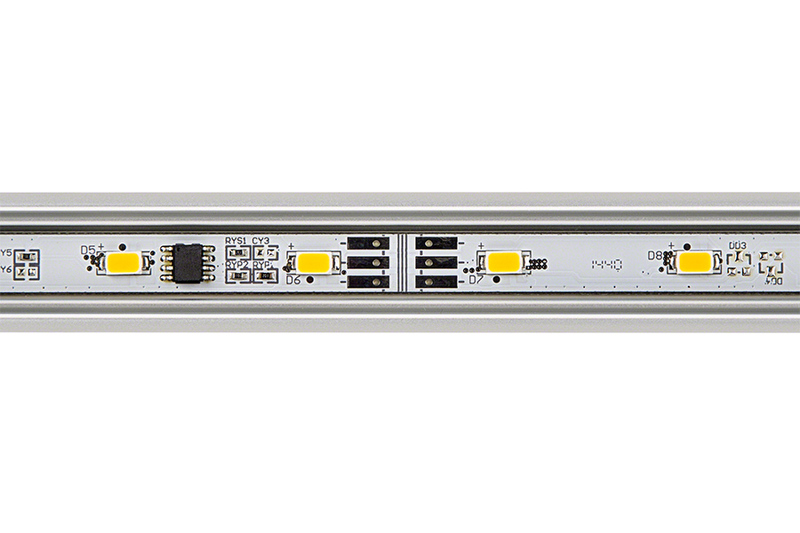 Each light fixture has one powerful SMD LED per inch of length. 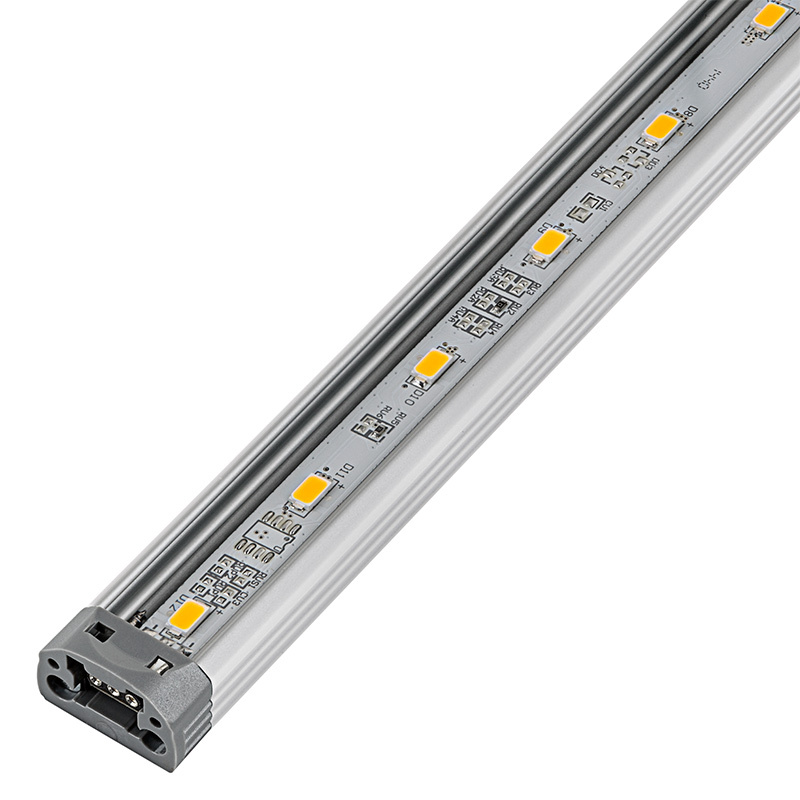 The LEDs have an output of 112-670 lumens and emit a wide 115° beam angle of natural or cool white light. 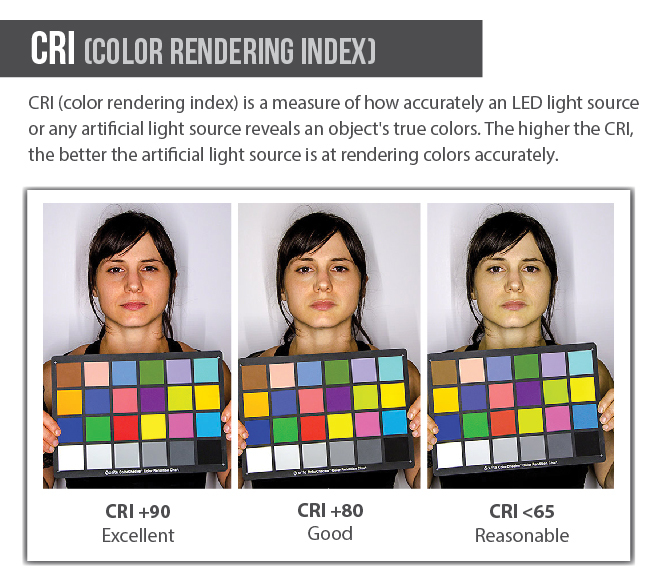 And with a CRI (color rendering index) of 86, light from this LED fixture will represent the true color of any object or surrounding. 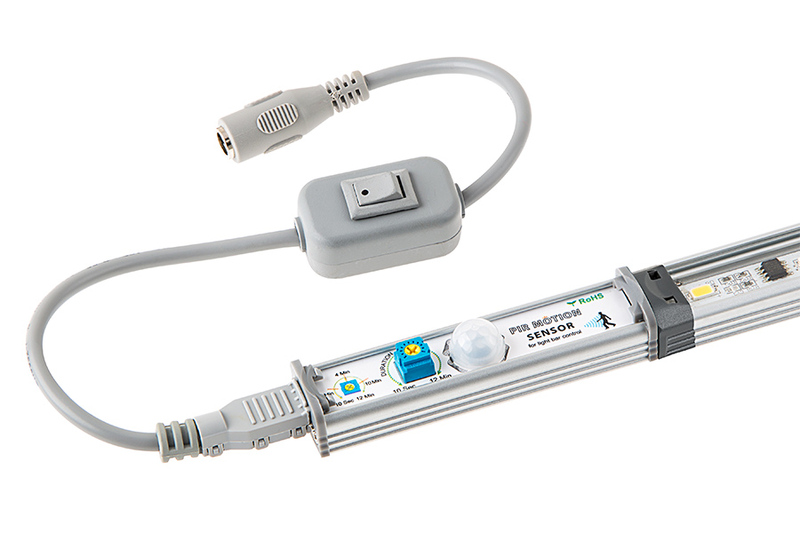 Durable end connectors allow for hassle-free connection and removal of power cables. 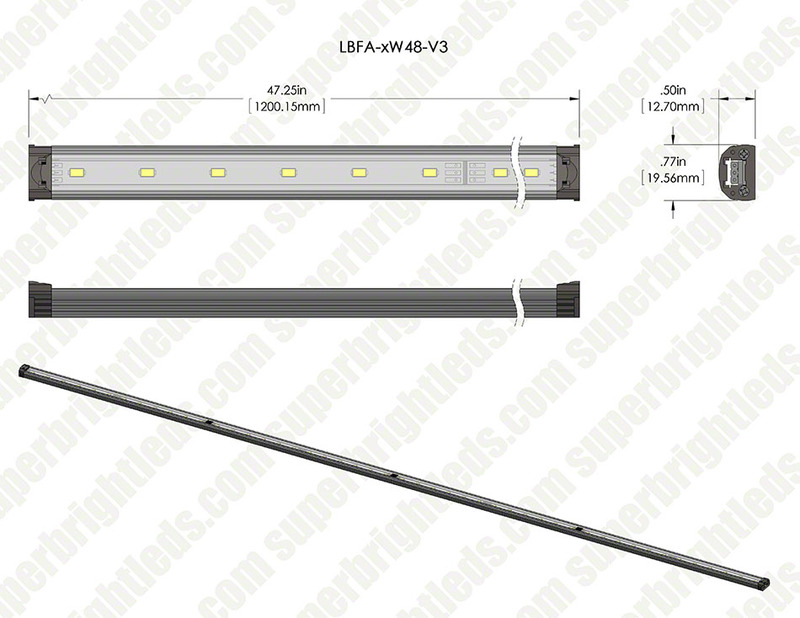 The non-weatherproof light fixture has 24V DC operation and is designed to last 40,000 hours. My kitchen sink was previously lit by a single F14T12 fluorescent tube (15" long) mounted about 30" above the sink. On paper, the lumens are about the same, but in use, I think the Luxbar is a little brighter than the fluorescent, and I like the warmer color of the Luxbar. 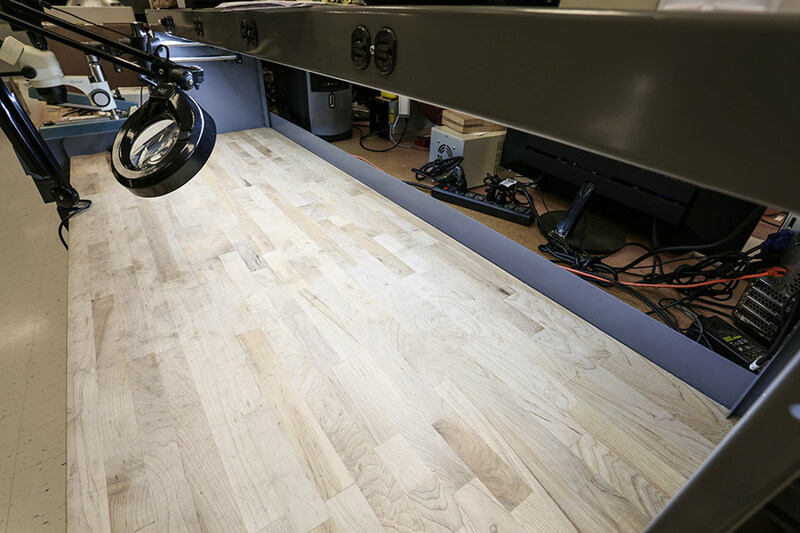 The Luxbar is much slimmer and hides entirely behind the wood overhang at the bottom edge of the cabinet over the sink; the fluorescent tube hung down below the overhang and was visible from the room. Note that the Luxbar comes with a clear plastic lens already installed. 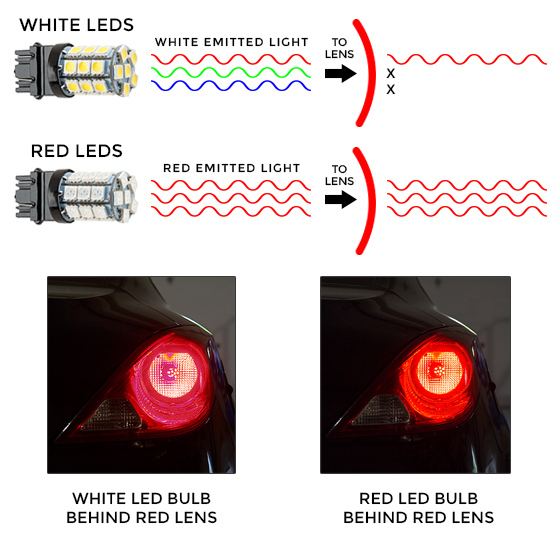 If you get the diffuser lens, it sticks onto the existing clear lens; the diffuser doesn't *replace* the clear lens. I agree with the previous reviewer that the plug connection is a little tenuous. I got the LBFA-CL clip and I think it helps. If you don't use that clip, using some other kind of cable clip, on the wire close to the plug, is probably a good idea. I am powering it with a Triad WSU240-0750 wall wart, which works OK so far. I bought these to replace a tape-light LED system that never worked. 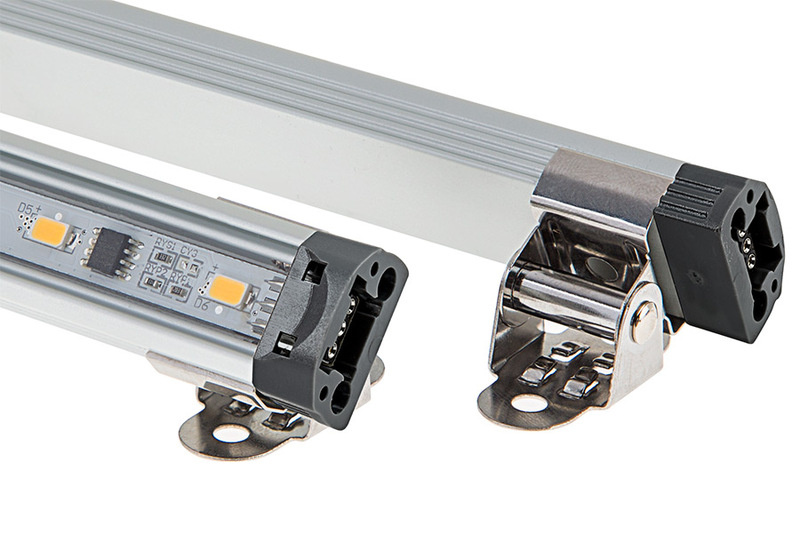 The housings on these are nice aluminum extrusions, and the LEDs are protected inside. A cinch to install. I used double sided tape. The wire connectors, on the other hand, are good once they’re connected, but making the connection is problematic. 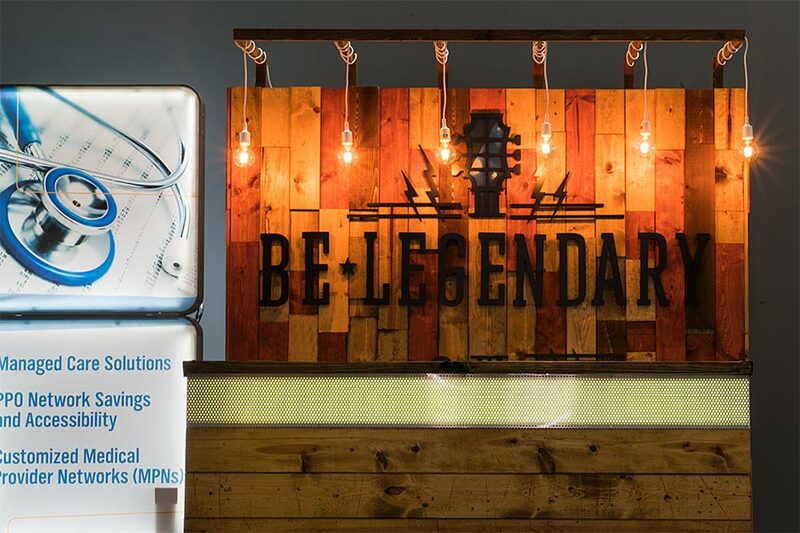 There are metal contacts that stick out from the wire ends to plug into the corresponding sockets in the lights, and there are also plastic locking prongs that seem in the wrong place relative to the conductors. The only way I could get those puppies to plug in to the lights was to bend the plastic prongs toward the metal ones, and in any case I found it best to make the connections before mounting the lights under the counters; it was extremely difficult if not impossible to make those connections with the lights installed. Great product - versatile in application. I've now purchased and installed about 30 feet of these lights. They are a well built product. 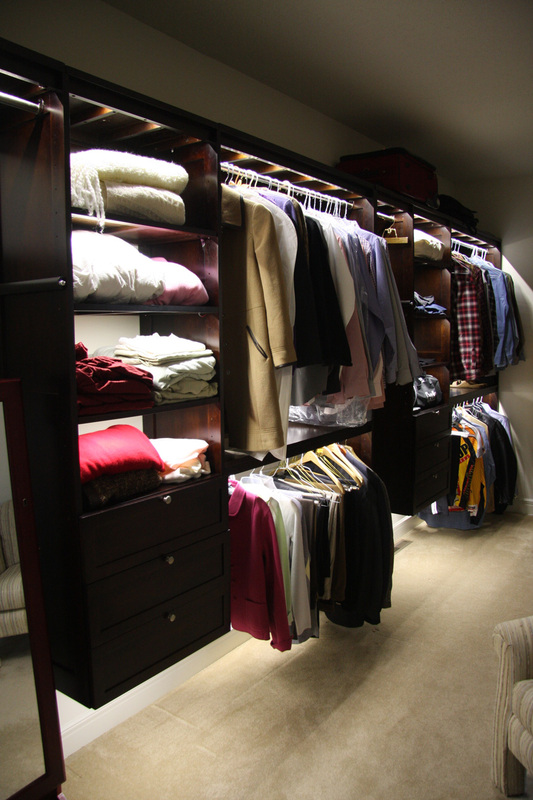 I always made use of the diffusers which really help to "smooth out" the light and remove "hot spots". 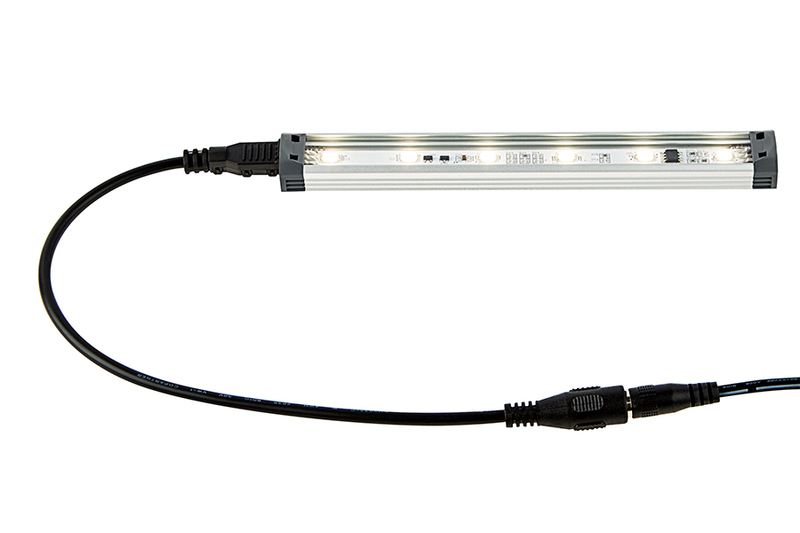 I've used these as full-room light in a server room where we don't need anymore heat - to the a-typical application of under-cabinet lighting. Work well no matter which application you have. One SMALL critique are the plugs on the ends. The design is pretty fragile a the plugs easily pull out if the cord is flexed much at all. Not that this breaks anything - just they light comes unplugged and re-inserting the plugs once the lamp is mounted in a precarious location is a pain! Also, if you plan to extend from one end to the other you will need to carry all three conductors or purchase & use the approved extensions. Not sure what they are doing internally that requires this - would like more technical information on the internals for those of us who can understand such information. 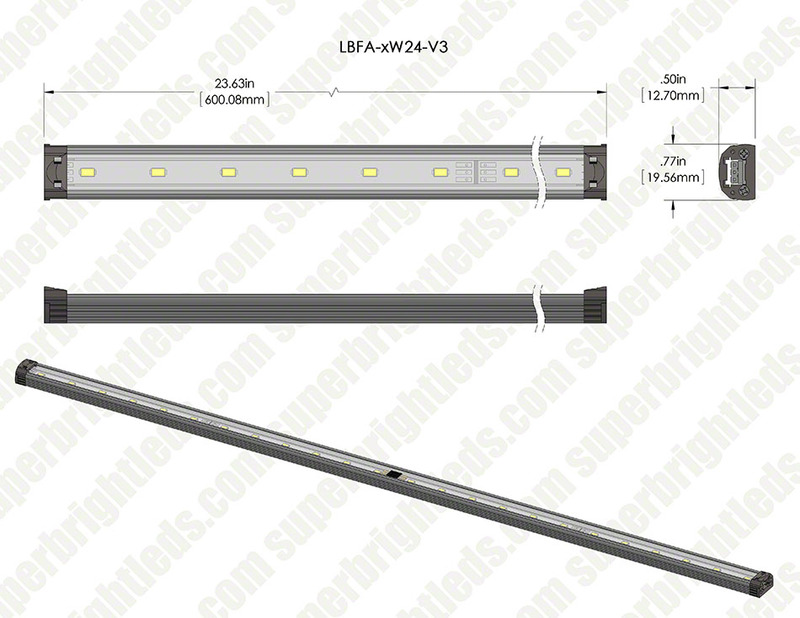 The light bar is very well made, not flimsy. 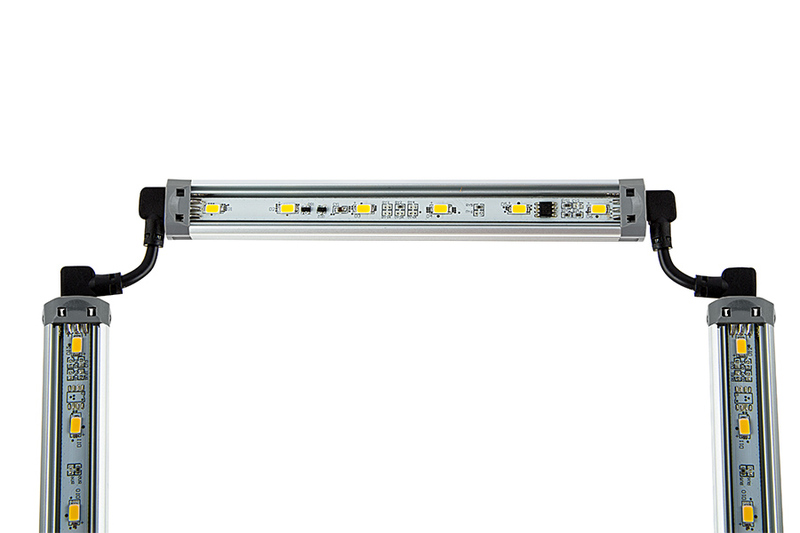 Attaches easily to the brackets, gives substantial light. This is a nice compact piece that puts out very nice light. 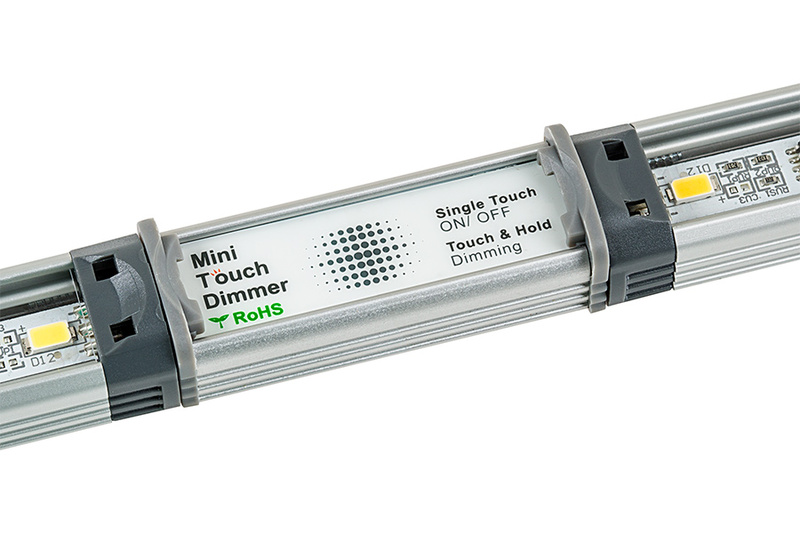 However, the connection requires cables with three tiny thin wires that have to insert very precisely into three very tiny holes in the fixture. I bought 2 of these, plus 2 cables and 2 power supplies. I broke one wire on each of the 2 cables while trying to attach them. 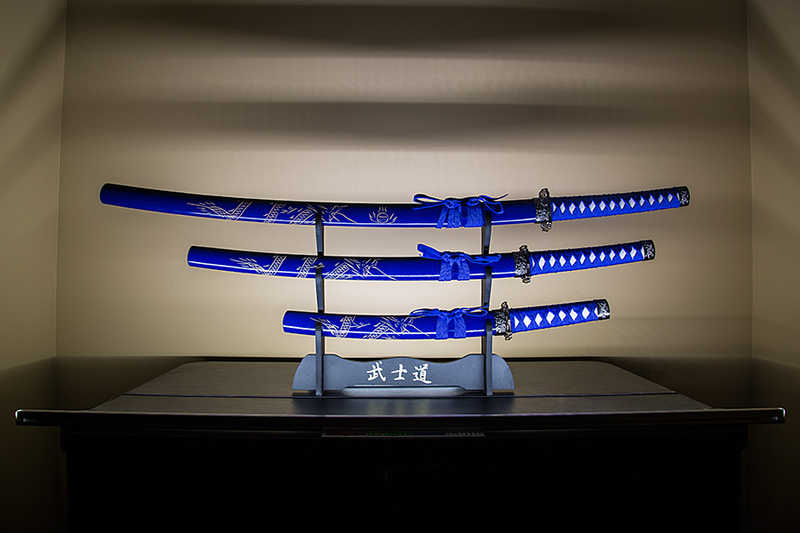 Once I got them connected, there's a significant (2-3 second) lag between the time you turn on power to the power supply and the light lights up. 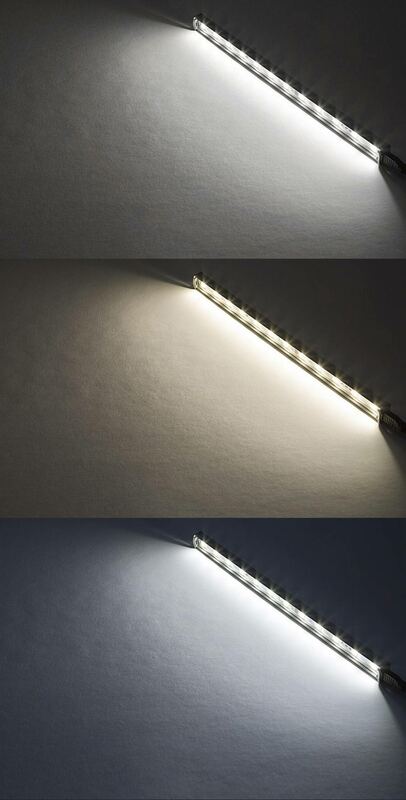 This is really disconcerting and I've never seen this kind of behavior in any LED strip before. So if you can get past the connector problem and don't mind the on delay, it's a nice piece.